On my family's previous dinner trip to My Mum's Place, we had spotted a few stalls beside it which we had meant to try. One such stall was Lau Hock Guan Kee Bak Kut Teh, which I was told, sold decent Bak Kut Teh. As with Tasty Penang just 2 doors down, Lau Hock Guan Kee is rather old school, opting for fans in favour of air conditioners. Read, it can get quite stuffy and warm if you choose to sit inside. Manned by a few old ladies, Lau Hock Guan Kee doesn't offer a menu unless you specifically request for it. The old ladies rattle off whatever's available and are very warm and hospitable, although in a rather loud sense. 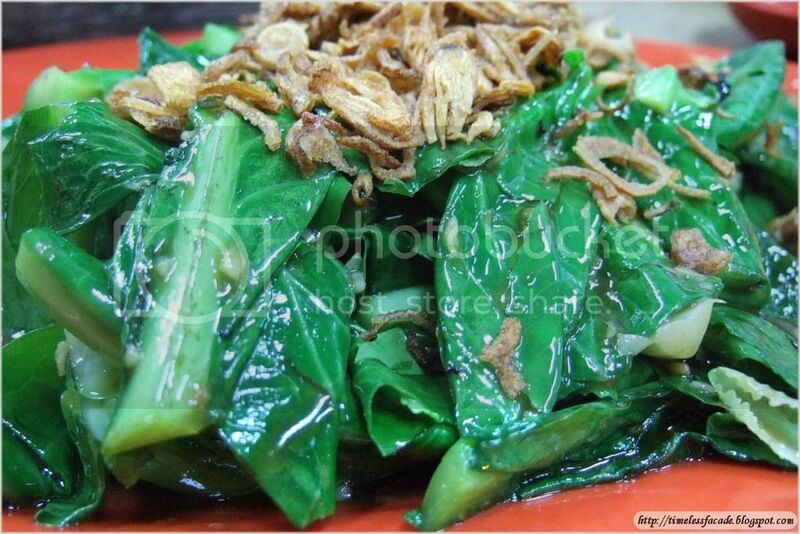 We had the Fried Baby Kailan with Oyster Sauce, Beancurd with Minced Meat and Bak Kut Teh. The Fried Baby Kailan with Oyster Sauce was a little too "sweet" for me due to the excessive oyster sauce. The generous serving of fried shallots atop was a bonus and added flavour to the dish. 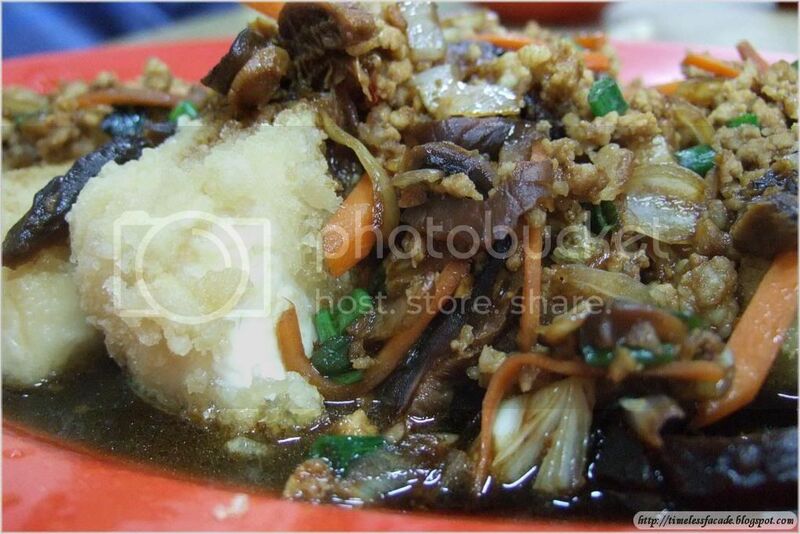 Beancurd with Minced Meat might seem like an easy dish to prepare. Just get good beancurd, throw some minced meat and garnishes in and you are done. Even a novice cook like myself can easily whip up Beancurd with Minced Meat, but doing it well is an art by itself. Lau Hock Guan Kee's version exceeded expectations. What looked like a pathetic excuse for the dish turned out to have soft and silky tofu (similar to the Agedashi Tofu in Japanese eateries) and a tantalising gravy owing to the hearty mix of minced meat, carrots, spring onions, mushrooms and other garnishes. But then again, it would have been better if the cook had gone a little easier on the salt. 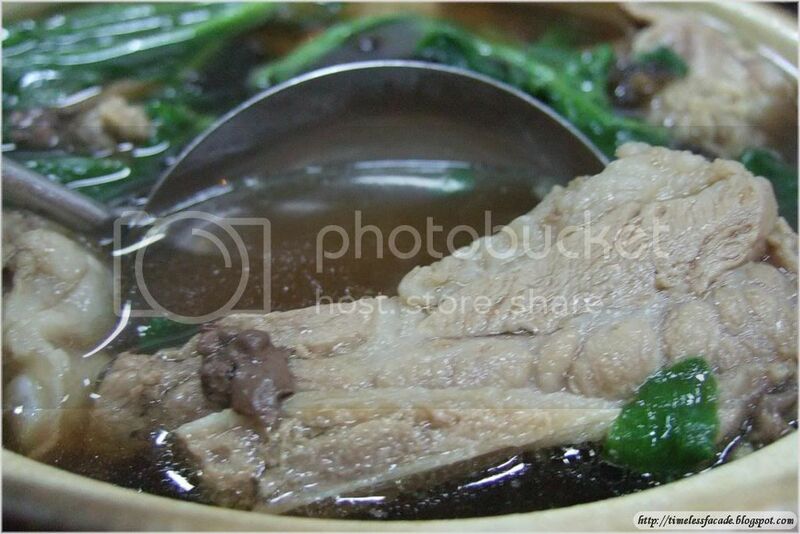 I'm sure everyone has eaten quite a bit of Bak Kut Teh in their lives and I'm no exception. The 2 most popular versions of Bak Kut Teh are the Teochew version, which has a clear and peppery soup and the Hokkien version, which has a dark and herbal soup. 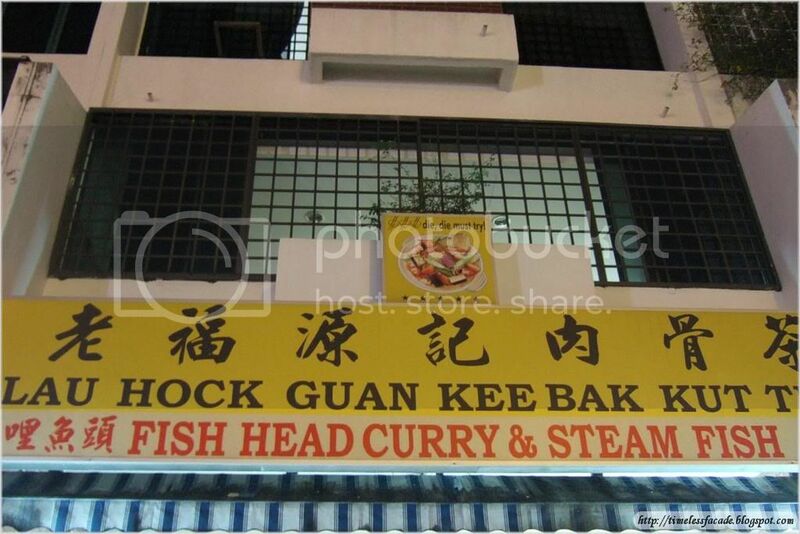 Lau Hock Guan Kee's rendition belonged to neither group. It's soup was slightly darkish and had seaweed and vegetables in it. It had no Bak Kut taste but tasted strongly of the seaweed. Rather weird, but still very decent in my opinion. The Bak Kut itself was nice though. The meat was tender and we had no difficulty tearing the meat off the bones. If they can do something about the soup, I'm sure this will be a smashing Bak Kut Teh. Dinner for 3 pax with drinks cost a mere $30/-. For the huge portions (all of our dishes can feed 4 pax), this is definitely a steal. We had actually wanted to try their fish head and Fish Stomach with Bittergourd, but were too stuffed to even harbour such thoughts at the end of our meal. 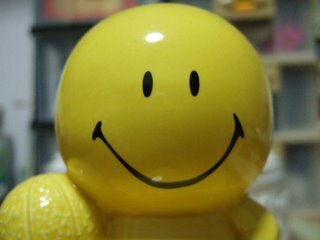 As such, I'll definitely be back to pick up from where we left off.